Have you been thinking about starting a new business? If you’re not sure what industry to choose, you should know that now is a great time to open a senior care franchise. The Senior home care industry is booming thanks to the surge of baby boomers and older generations now requiring a little extra help in their daily activities. Companies like Interim Healthcare step in to provide them with the care they need to help them live at home safely. Let’s take a look at why now is the time to invest. The healthcare industry is projected to reach nearly $365 billion by 2022. Why this steady growth? For one thing, people are living longer. Advances in medical science have allowed people to cure or treat many ailments that would have been a death sentence in years past. Furthermore, each generation is generally larger than the one that came before. As Baby Boomers age, more people than ever will be good candidates for our services. By 2060, it’s estimated that the elderly population in the U.S. will double from 15% to 30%! Since many people prefer to stay in their own homes rather than move into an assisted living facility, Interim Healthcare is a great and affordable option. Our brand has grown steadily since we were founded in 1966. We’re a popular choice among consumers because we work with clients and their families to come up with a custom care plan that fits their needs and budget. Our senior care franchise brand is famous for its flexibility. Some clients need round-the-clock care, while others just need some help around the house a few times a week. 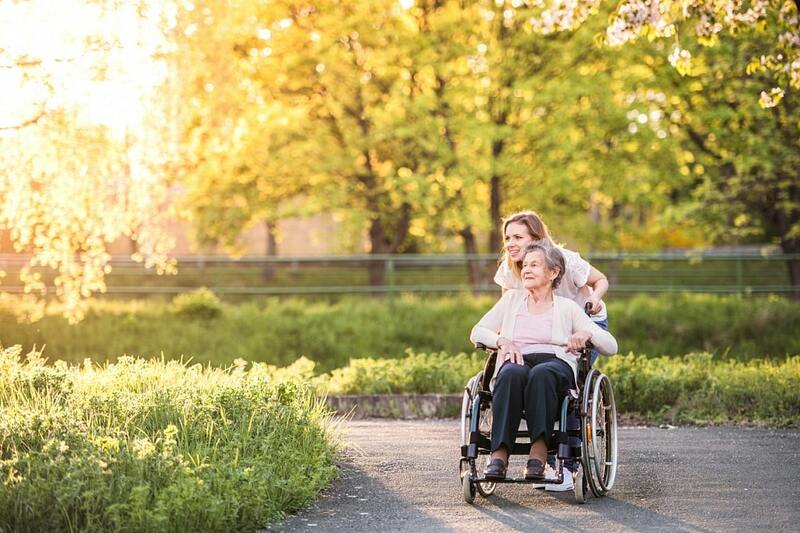 This flexible care helps us to give families peace of mind while allowing clients to maintain as much of their independence and lifestyle as possible. Why Open a Senior Care Franchise? Now that you know about the industry, you might be wondering why you should partner with a franchisor at all. Why not cut out the middleman and open a senior care business on your own? Interim Healthcare offers many valuable resources for our franchisees. We’ve developed a comprehensive training program designed to show you exactly how to open and run your business. You won’t need to waste any time figuring things out on your own, and you can rest easy knowing you’re receiving guidance from an industry-leading company. We’ve developed marketing materials that make it simple for our franchisees to spread the word about their new business to potential customers. Best of all, we’re always conducting research on the senior care industry. You can rely on us to keep you up-to-date on important industry developments and trends so you can offer your clients the best service at competitive prices. Opening a senior care franchise with Interim Healthcare is a great way to break into a growing industry. Visit us online to learn more about the process of opening a new franchise!